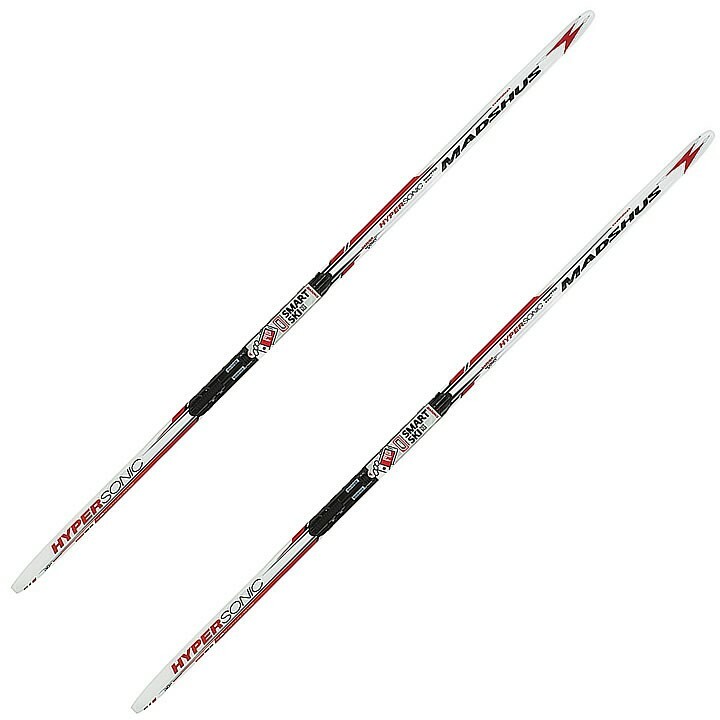 Sharing some characteristics with its Redline cousins, the Madshus Champion Nordic Ski Series delivers World Cup performance at a great value. From training time to race day, the Hypersonic Carbon Skate Ski has everything you need to progress in a variety of conditions. With a medium-high, flexible camber profile, medium pressure areas, and lightweight Triaxial Carbon Construction, the Hypersonic Carbon Skate Ski is both versatile and race-worthy. The Madshus empower™ app is changing cross-country skiing. Train smarter by pairing your Hypersonic skis with empower™. PR90 X core is reinforced by Triaxial Carbon braiding technology, and is used because of its light weight and the ability to dampen the ride. The core is then 3D shaped for ultimate power transfer and weight savings. P190 Nano: designed as a race ready base that is versatile in a variety of conditions. Is this the correct flex weight? Madshus website lists only 60-75 and 75-90 for a 185cm ski. Thank you for your inquiry. Yes, the flex on that ski is 50-65. The ideal skier weight for that specific ski is 50kg or 110lbs. If you have more questions on a compatible ski for a certain weight please feel free to call the store and ask for our Nordic experts. They will be able to see if we have a ski that would work! The number here is (802)-658-3313.